Glycogen synthase kinase 3β (GSK3β), a serine/threonine protein kinase, is involved in several human diseases, including type II diabetes, mood disorders, prostate cancer, and Alzheimer’s disease, representing a potential therapeutic target. GSK3β has a unique specificity, with its primed substrates binding to the primed phosphate binding site, which is critical for the catalytic activity of GSK3β. An L343R mutation located at the C-lobe of GSK3β, remote from the catalytic site, causes kinase inactivation. However, the detailed mechanism of this remains unclear. 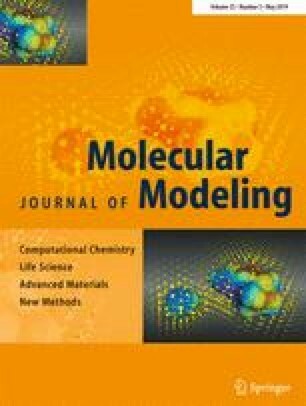 Here, microsecond molecular dynamics (MD) simulations and network analysis were performed to elucidate the allosteric inactivation of GSK3β triggered by the L343R mutation. Large-scale MD simulations of wild-type and the L343R mutant revealed that the L343R mutation caused disruption of the chemical environment near the mutation site, which propagated remotely to affect the conformational dynamics of the activation loop (A-loop). The resulting conformational rearrangement of the A-loop in the L343R mutant disrupted the primed phosphate binding site, thereby abrogating the catalytic activity of GSK3β. Furthermore, network analysis identified the allosteric pathway from R343 to the primed phosphate binding site in the L343R mutant. Collectively, the results of this study provide a mechanistic explanation of how the L343R mutation allosterically affects the functional activity of GSK3β, which contributes to our understanding of GSK3β biology. Jun Li and Qiang Fu contributed equally to this work. The authors thank the High Performance Supercomputer Center at Shanghai. The study was supported by the grants from the Natural Science Foundation of China (No. 81372005, 81401851 and 31371011); Scientific Research Projects supported by the Shanghai Committee of Science and Technology (No. 13DZ194808 and 15441904403); Scientific Research Project supported by Shanghai Municipal Commission of Health and Family Planning (No. 20134244).